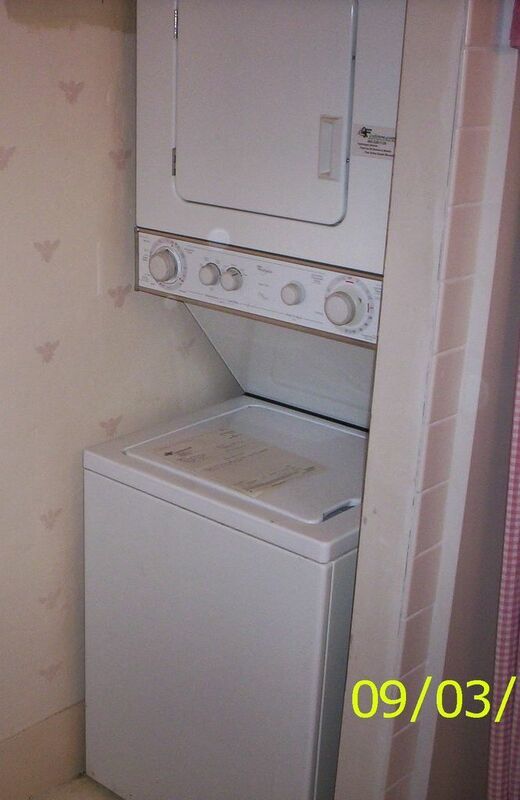 A typical stack laundry unit stuffed into a tight cubby in a bathroom. Looking behind the stacked laundry unit. 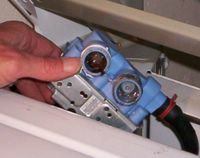 Couple things to note: 1) the vent hose, while metallic, which is good, is extremely difficult to disconnect for service and will tend to crimp when the unit is pushed back in place; and 2) since the washer’s water shut off valve is behind the unit and is not accessible for turning off between uses, BOTH fill hoses should be stainless steel braided hoses— that black rubber fill hose is a flood waiting to happen. 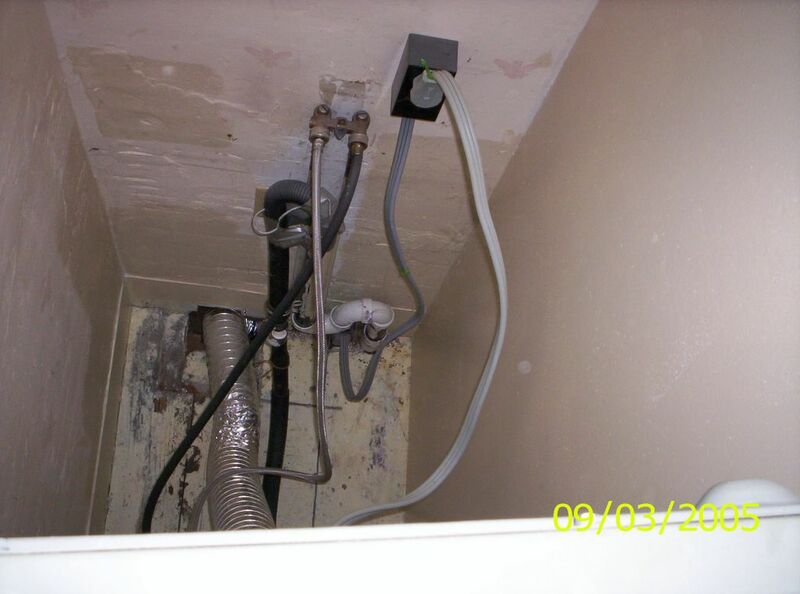 This stack laundry unit had flooded– that’s why I was called out to repair it. After pulling the water inlet valve, the reason for the flooding was readily apparent: one of the protective inlet screens had been removed! This is called the cute plumber’s trick. Don’t do it! If you have a problem with scale gunking up the valve and restricting flow FIX THAT PROBLEM! Removing the protective inlet screen just creates another problem. This entry was posted in Washer Repair on September 24, 2005 by Samurai Appliance Repair Man. This is the Samurai’s Reproductive Unit No. One speaking. I went on that job; it was so funny to see my dad climb on top of the stack laundry. The owner got really worried too. But, the Samurai ALWAYS knows what he’s doing.